The tour kicks off in Portland, OR on April 17th and will visit over ten cities before wrapping up in Vienna, VA on May 10th. 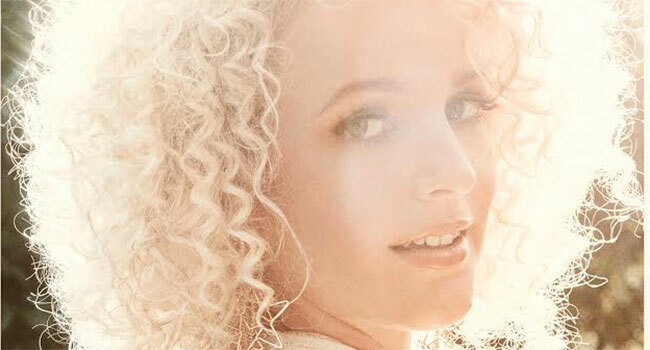 Tickets and VIP packages go on sale this Friday, March 16th at CamCountry.com. Since these are smaller venues there will be limited space available! See below for a complete list of dates. Cam recently released the music video for her new single “Diane,” which was shot in Los Angeles, CA and directed by Daniel Carberry. Using stunning 70’s inspired visuals, the video takes you through the complications of infidelity. Further building on the excitement surrounding her new single and forthcoming album, Cam will be performing at Sony’s “Lost in Music” event at SXSW this Friday, March 16th. She is also scheduled to make an appearance on Good Morning America on April 3rd to deliver the first daytime National TV performance of “Diane,” and will be sharing the stage with Motown icon, Smokey Robinson in the season premiere of CMT Crossroads, on Wednesday, March 28th. Cam will then head across the pond to the UK next month with a headline show on April 8th at London’s Islington Assembly Hall. California-born singer/songwriter Cam emerged as one of the true breakthrough artists of the past few years. Her international hit, “Burning House” garnered Cam her first Platinum record, No. 1 country single and earned her a GRAMMY Award nomination for Best Country Solo Performance, six nods at the Academy of Country Music Awards, three at the CMT Music Awards, two CMA Awards nominations and one at the 2016 American Music Awards. “Burning House” is still the most-downloaded song by a female country artist since its release in 2015 and is off Cam’s debut album Untamed, which debuted at No. 2 on Billboard’s Top Country Albums chart with the year’s best first-week album sales by a debut country artist. In 2018, Cam released her bold single “Diane,” the lead song off her forthcoming Arista Nashville/RCA Records sophomore album. Joining forces again with her “Burning House” co-writers, “Diane” is a driving, tempo-rich track that delivers a sonically refreshing tale of love, regret, and commiseration. Less than a month after its release, the song was praised as one of the Best Songs (all-genre) of 2017 by NPR and No. 3 on the 25 Best Country Songs of 2017 by Rolling Stone Country and made a multi-week residency on Spotify’s Viral 50 USA Chart.